Do you really think you have anything to offer? Your personality just isn’t outgoing enough; you are too shy. People just don’t take you seriously so it’s best to let someone else handle this. Your past and mistakes are too much for God to forgive. I could keep going but these are just a few things I battle daily, particularly the moments leading up to me preaching and especially afterwards! Believe it or not, by the grace of God it’s gone while I am preaching and I believe that is a testament to the prayers of many of you as well as God’s grace and power through me. However, as soon as I am finished with my sermon, the feelings of inadequacy strike immediately. The reason I share this is because I believe all of us wrestle with this to a certain degree and many of you have allowed this to sideline you. I always want my walk with Christ to be an example and inspiration to others as I grow daily and I want to be honest about my weaknesses to show people around me that if God can use me, He can use anybody who surrenders their lives to Him. I often think of how Moses was incredibly insecure especially when God appeared to Him in the burning bush. He offered numerous excuses as to why he wasn’t the guy to go free the Israelite’s from slavery. I love how God basically just said: Hey I got this, just be obedient and trust me! 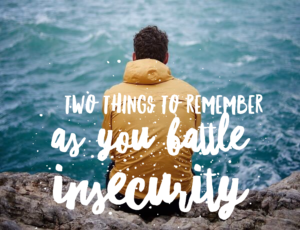 We must keep two things in mind when it comes to insecurity as we continue to fight this battle. On the surface it may seem that way, but it really is not at all. We are still making it all about us! Instead of trusting in God’s call and provision we are allowing our fears or perception to control us. If God has called us, He will equip us. God is not limited by our so called ability or lack thereof! 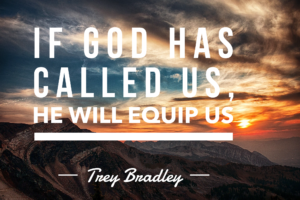 Once again we are putting more trust in our “abilities” rather than God’s provision and power within us! I must remind myself every day that it’s not about me, my strengths, or my weaknesses, but who Jesus is! In the end He doesn’t really need me, but He does desire to use me and I want to just be available as a daily living sacrifice to the glory of His name! One of the things I love about the Bible is how it’s not about great people who did great things but about a great God who did great things through messed up people. 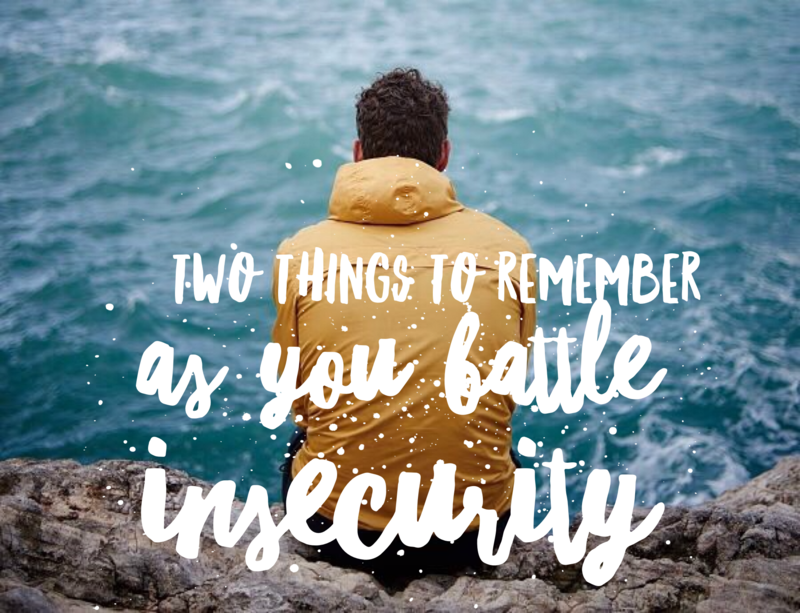 As messed up people let’s surrender our insecurity to Christ and allow Him to work through us to impact our culture.